a hob, oven and separate grill, so you can cook up any type of treat. It comes with a classic white finish, so will fit in perfectly with any kitchen’s décor. 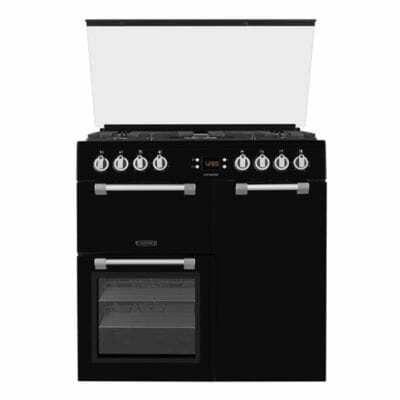 This Beko cooker is a freestanding model, making it easy to fit into your kitchen. Measuring just 50 cm in width, it’s slimmer than standard cookers, making it perfect for compact spaces. You can also enjoy plenty of room to cook with the EDG506W. The main oven has a net capacity of 61 litres with two shelves, so you can prepare all types of delicious meals. It’s also been rated A+ for energy efficiency, so you could save on your energy bills too. There’s even a variable gas grill in the second cavity, which comes with two shelves and an included pan set – perfect for those lazy Sunday morning breakfasts. 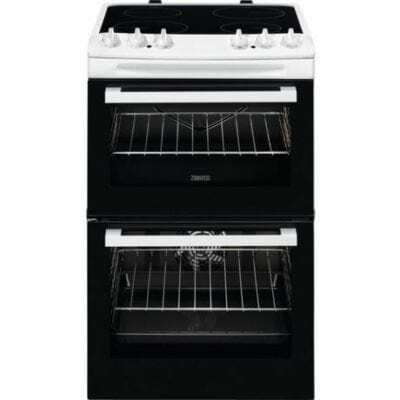 Beko’s EDG506W is a twin cavity cooker with a main gas oven and separate grill. Offering plenty of cooking options, you can steam vegetables on the hob, roast potatoes in the oven and grill meats – all at the same time. 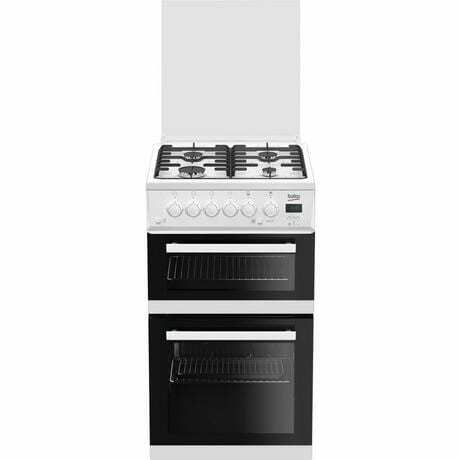 Four burners and enamel supports feature on the gas hob, to cater for a range of pans. You’ll find three different sizes as well as high energy efficiency – meaning the burners cook up to 35% faster. Whether you want to boil pasta or create the perfect pancake stack, there’s an option for you. On this Beko cooker, you’ll find a mains push button ignition for the gas oven and burners, making them easier and safer to light. There’s also a glass lid that can be closed and used as an extra worktop while the hob isn’t in use. Every homeowner understands the struggle of keeping an oven clean. 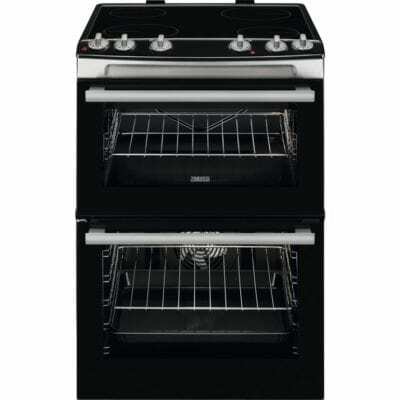 However, the EDG506W has features to make for easier cleaning, such as enamel liners in both cavities, and a removable glass inner door on the main oven. You can even check on your food’s progress as it cooks, with the handy LED timer and main oven light.